It is that time of the year when football season comes to a close. Who will you be rooting for? My team is out so I’m going to root on both teams. If you ever been to my home, then you know my husband and father are HUGE football fans. They plan get together to watch football on Sunday each week. Of course, I need to keep these boys well feed during the endless hours of watching football. I also want to stay health conscious as well. If not they will fill their bellies with unhealthy choices. 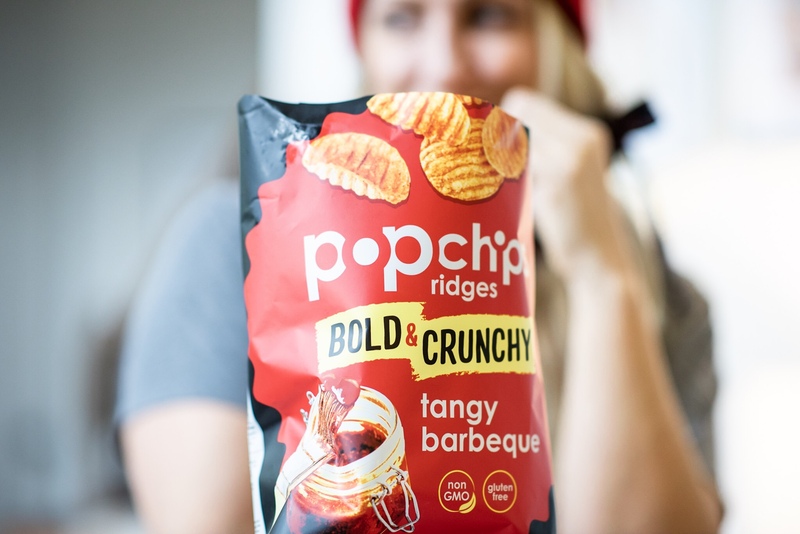 Have you guys heard of popchips? You may have seen them at your local market or on amazon. Let me tell you I have found the best snaking food ever! My whole family can enjoy as well. My husband always tells me, “Make sure to get those popchips!” ok ok honey don’t worry I know you and dad love popchips. I have to tell you all, I really enjoy popchips and my kiddos love them too! 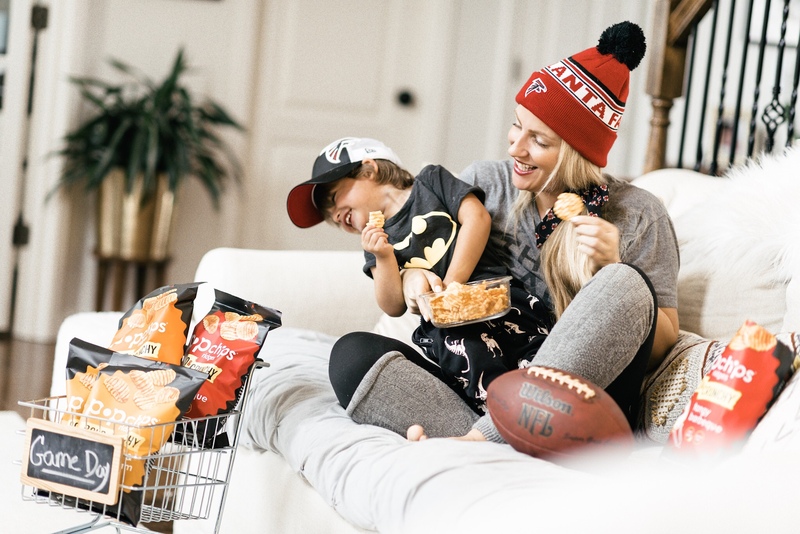 I do not mind letting the kiddos eat a little more than normal because popchips are gluten-free, never fried and contain real ingredients, + NO trans fats, cholesterol or preservatives. They are also great for my dad. Here is a little secret he needs to watch his cholesterol the doctor said. So go ahead dad dig right in and eat a way! My son has a thing for popchips. His favorite flavor is Buffalo Ranch Ridges, hence the whole family has major love for buffalo wings. You get the same great taste just in a bag and mess free. Trust me guys, if you are a mom of littles then you know my life consists of constant messes. Kids eat these with the huge mess. WIN! They have great flavors to choose from (some listed below) and yes we have tried them all. Alright guys! Did I make you hungry? I’m headed to have a few popchips before I take my daughter to dance class. You can find popchips on amazon in their new packaging with an even bigger crunch and bold flavor ridges. 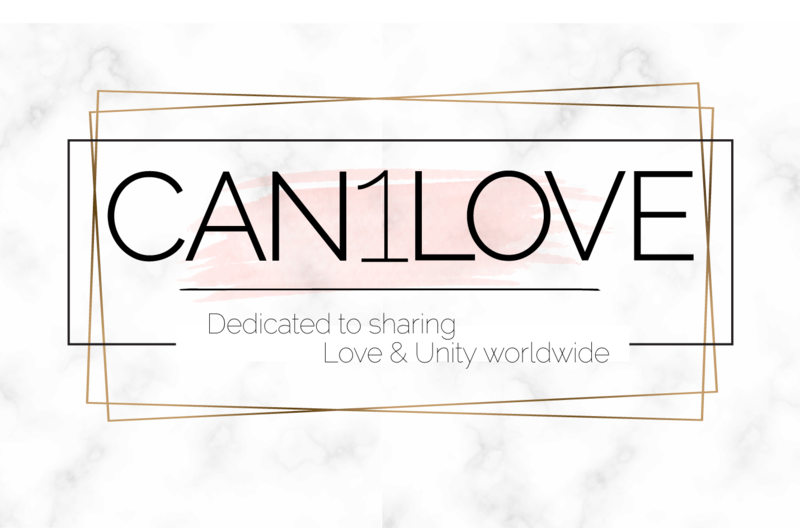 -Thank you for reading along! Happy home-gating! We all love PopChips here. I keep them in the pantry all the time. We ALL eat them like they’re going out of style. These sound amazing. Really, they are not fired and gluten free? what a revelation in fun snacking. Pop Chips and Pistachios are my go-to snack as well! They are so yummy and make perfect snacks for school too. 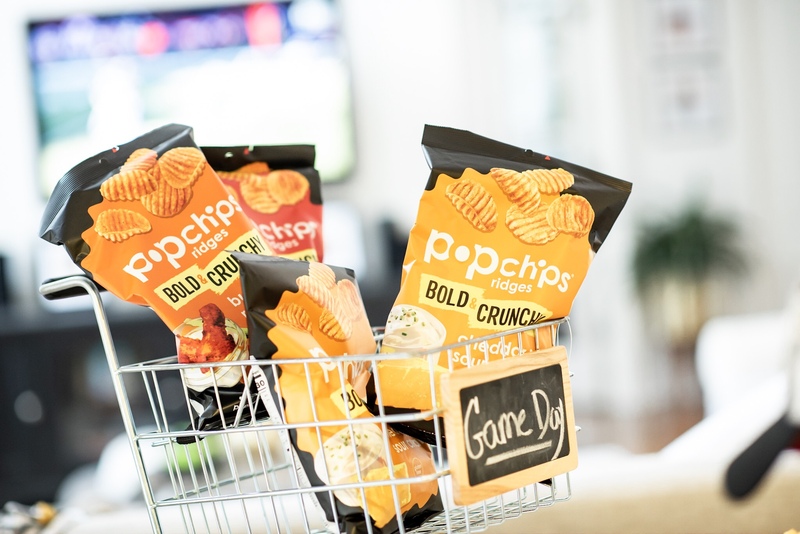 We love Popchips as a snack in our house! That Buffalo ranch flavour sounds so good. 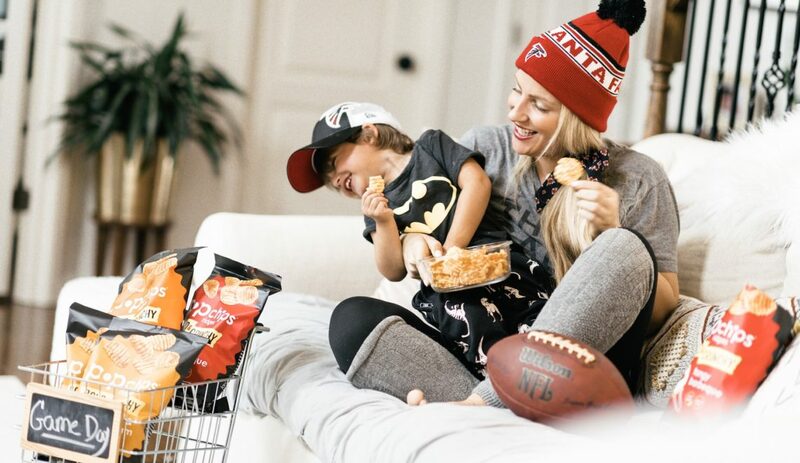 What a great idea for snacks when it comes to watching the game. 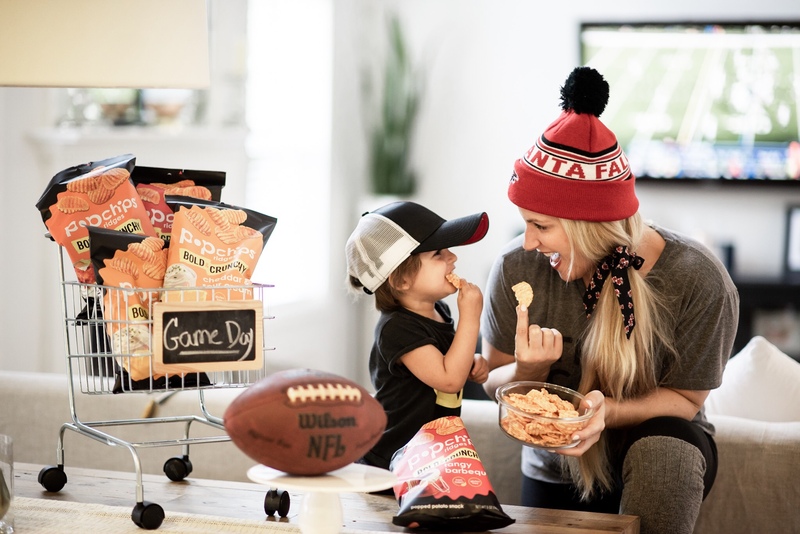 This are great game day chips and I am loving the pictures with you and your son. These look pretty tasty! 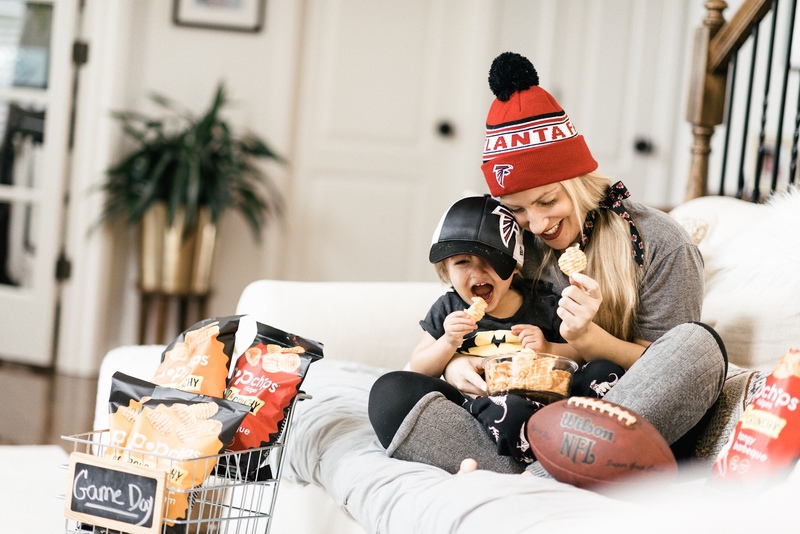 We always try to includes a spread of snacks while watching the big game. After all, snacks are half the fun! PopChips are yummy! The Cheddar and Sour Cream sound really yummy! These would be a good addition to any Super Bowl party. This looks really good and it sounds like something that my kids would really love. I’ll have to look for popchips her in our Country. Those chips look so delicious! I would love to try the BBQ flavor. You are so right that they are the perfect sneaking snack! Yum, I love popchips. And the flavours are so moreish too! They are crunchy. They taste so delicious. On a diet, this is dream come true. It was suggested to me that I could save money by buying a bigger bag.